These quesadillas are fun and easy for a weeknight meal. They may be cheese-free, but they’re super creamy and flavorful. 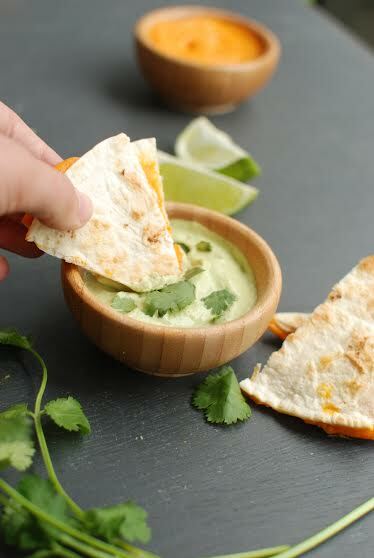 For a even more creaminess, dip them in our Creamy Cilantro Pesto sauce! 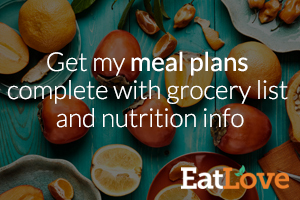 Cut open the sweet potato and put the flesh in a bowl. Add the lime juice, cumin, coconut sugar, coconut oil, and salt. Mash very throughly. For extra smoothness, you can mix this in a food processor for 10-30 seconds until completely smooth. Heat a nonstick or cast iron pan, brushed with coconut oil, over medium heat. Spread 1/2 cup of the sweet potato mixture over a tortilla, and place another one on top. Fry in the pan for 3-5 minutes on each side, until golden brown. Repeat with the other 2 tortillas. 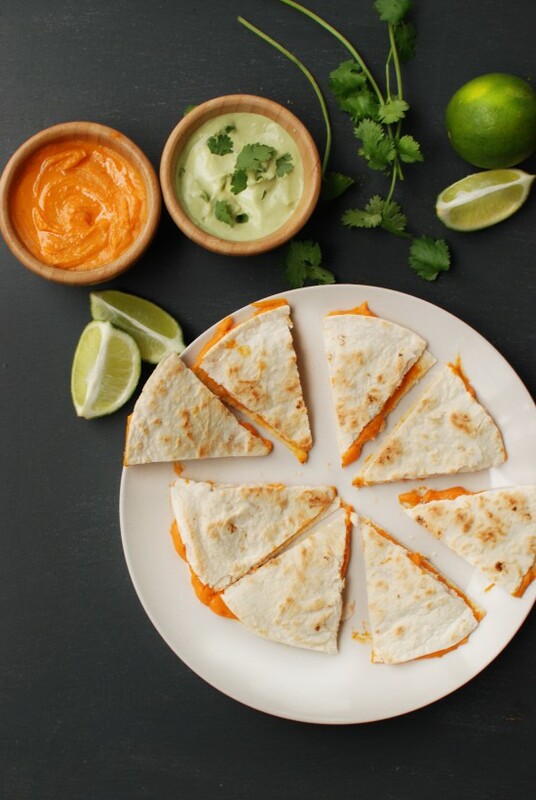 Cut the quesadillas into triangles with a knife or pizza cutter. Serve warm, with cilantro pesto or guacamole!